New Aurora HDR 2018 update. Aurora HDR 2018 is now up to 2x and 4x faster on MacOS and Windows computers, respectively, and is now compatible with the brand-new Loupedeck+ photo editing console. Skylum Software today released the latest update to its award-winning photo editing software, Aurora HDR, bringing improved performance, new features, and updated tools to both MacOS and Windows versions. Aurora HDR is now faster across the board with a massive boost in performance on both Windows and MacOS computers. Specifically, performance on MacOS computers is up 180% when working with bracketed shots and 175% when working with single images. On Windows computers, Aurora HDR is now 500% faster when working with bracketed shots and 400% for single images. Aurora HDR also makes better use of memory, with more intelligent management and improved stability. “The team at Skylum has worked incredibly hard behind the scenes to bring massive speed and performance improvements to the Aurora HDR 2018 update for both MacOS and Windows computers. Combined with the support for recently-launched Loupedeck+, photographers who use Skylum’s products will be able to edit photos more efficiently than ever before. The faster photographers can import, process, and edit their photographs, the more time they can spend in the field or studio capturing shots,” said Dmitry Sytnik, Co-founder and CTO at Skylum. Windows users, in particular, receive a new batch processing tool, bringing it more in line with its MacOS counterpart. Windows users get a refreshed interface, the ability to rename layers, histogram functionality in the tone curve filter, improved dodge and burn stability, and a flip/rotate tool. Skylum also announces a partnership with Loupedeck to bring support for the brand-new Loupedeck+ photo editing console. Now, users can quickly process photos in Aurora HDR using physical dials, knobs and keys. “With similar goals to make the photo editing process more creative, intuitive and efficient, Loupedeck is thrilled to partner with Skylum on our journey to launch the Loupedeck+ editing console,” said Mikko Kesti, Founder and CEO of Loupedeck. “We’re confident the support of Skylum’s editing products will further enable today’s photographers to enjoy enhanced editing experiences and we look forward to continued delivery on this mission moving forward together.” The updated Loupedeck+ console features improved build quality, updated mechanical keys for a more precise feel, two customizable dials, and an all new “Custom Mode” that allows users full control of all dials. Loupedeck is the only photo editing console custom-built to improve the Adobe Lightroom and Skylum Aurora HDR experience, with an intuitive design that makes editing faster and more creative. It allows both professional and amateur photographers to improve the ergonomics of editing, comfortably increasing output. Loupedeck’s hands-on and highly intuitive console minimizes the use the mouse and keyboard, and it works seamlessly with Apple and PC operating systems. Headquartered in Helsinki, Finland, Loupedeck was founded in 2016 with a highly successful Indiegogo crowdfunding campaign that exceeded its original target by 488 percent. For more information, visit www.loupedeck.com. 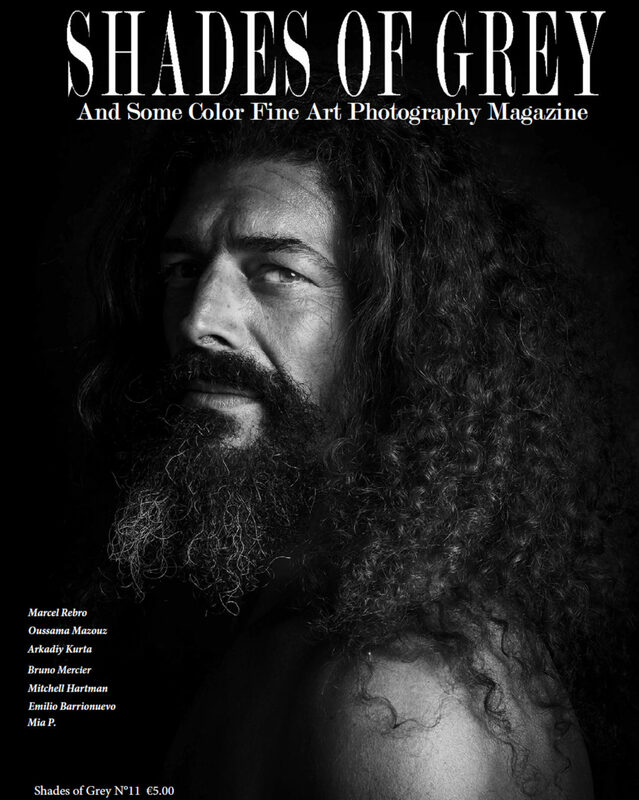 Use the coupon code “SHADESOFGREY” for a $10/ €10 immediate discount.